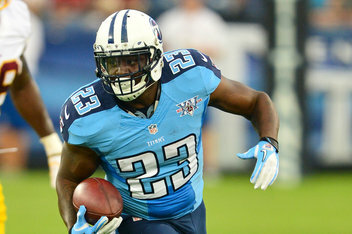 The Titans plan to have a committee and running back which isn’t good news for anyone. We fully expect Tennessee to draft a running back, most likely on Day 3 to compliment incumbent Shonn Greene and newly signed Dexter McCluster. Giants coach Tom Coughlin is counting on running back David Wilson this year. Dynasty owners should be a little less optimistic. If there’s a taxi squad or injured reserve, Wilson should be placed on that for a while. Former Texans tight end Owen Daniels has landed in Baltimore. He’ll be a decent backup option especially with Dennis Pitta suffering a major hip injury last season. It also officially opens the door for Ryan Griffin in Houston. 49ers linebacker NaVorro Bowman should be ready by mid-season. It’s a devastating blow for both the 49ers and Bowman dynasty owners. Hopefully, both can survive the first half of 2014 without him. This entry was posted in Daily Update and tagged david wilson, dennis pitta, dexter mccluster, navorro bowman, owen daniels, ryan griffin, shonn greene. Bookmark the permalink.